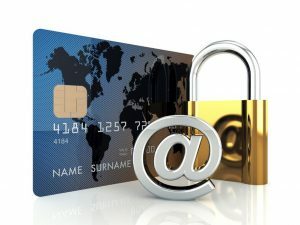 What are the New Techniques used for Credit and Debit Cards Frauds? Now- a-days Credit and Debit Cards Frauds are increased. It’s the threads that is growing and surfacing by every business persons. Although some years ago, many banks and credit unions were enforced to cancel and redistribute thousands of cards as a result of the TJX breach. A recent incident analyses that, banks located in Indiana saw accounts breached from ATM or debit card transactions. Indiana Law enforcement and the FBI are investigating breaches from at least 10 banks, after more than 100 customers reported money missing from bank accounts at the start of June 14. The foremost withdrawals of money from few hundred dollars to a few thousand dollars were dispatched in Nigeria, UK, Russia and Spain. This year, there are more cases of larger losses of frauds: An Investigation by FBI cyber- crime agent Mr. Albert Murray shows 2 persons, who made hundreds of fraudulent withdrawals from New York City ATM’s, of this year of getting $ 750,000. Although the Industry has made great advances steps in lowering the Credit/ and Debit Cards Frauds. A data called, “Consumers Frauds and Identity Theft Complaint Data” analyses from 2007 shows the complaint database developed by the FTC acknowledged more than 800,000 consumers frauds and identity thefts complaints. Consumers complained loss more than $ 1.2 billion. A Credit Cards fraud, at 23%, was the most common form of reported identity theft. New schemes are emerging and calls for greater analysis and inspections for institutions and their customers. In this situation, people accumulate some amount of personal data from several related severs to concept a more direct individual communication that seems very reliable to the customers. Security vendors VeriSign recently shown a study stated that more than 15,000 individuals have been spear phished in this last 15 months. The modernized world demands fast, easy, secure and convenient services in different industry sector. And yes, this modern payment technology enables many people to enjoy the benefits of easy, fast and secure payments. The emerge of electronic check processing given huge advantages in the payment industry, turned paper work into electronic transfer. 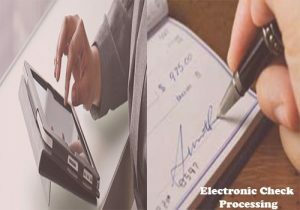 Electronic check processing also known as e-checks and became an essential part of modern businesses. How can you Modernized Business by E-checks? E-checks are classifieds as the most valuable and modern types of payment transfer system for hassle free and low cost method of getting paid quicker. 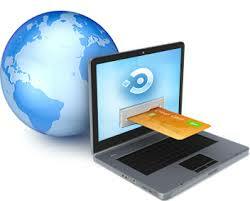 E-payment helps merchants to settle transaction and meet the payment processing needs without obstacles. The e-checks started over traditional checks given comprehensive range of services. Electronic check processing enables merchants to transfer funds electronically from one bank account to another. Electronic check processing use Federal Reserve Bank’s ACH to transfer funds. The merchants enjoy speedy deposit without wasting valuable time. The service provides benefit like minimize the risk of check stolen or lost. Check processing solutions increase revenue, reduce overheads cost and time consuming process to transact funds from one account to another. The merchants able to give valuable time to material things in planning, pricing and quality of product and services. Eliminates the daily trips to bank for deposits and payment transaction. Reduce the time to have funds from checks deposited into a bank account. Wire or ACH? Which Payment Transfer You Will Choose? Banks use Automated Clearing House to Transfer Funds Electronically from one bank to another in safe and secure way. In these digital economy people and business firms would like to receive payments through direct deposit. As they find more convenient these method rather than using checks. This electronic transfer of money from one place to another is called ACH OR Automated Clearing House. 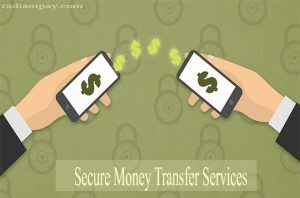 Whereas wire transfer allows you to move your money from your account directly into the account of someone else. ACH Transfer – The electronic transfer of funds from bank account to another. Payment transfer is not occurring on real time the transaction is settled on future date. Transactions are entered with a date to settle which is normally the next day. Payments are transferred by your banks in groups or batches along with all their other customer’s scheduled payments, usually at the end of the business day. ACH Transfer is less expensive and can be done on batches. ACH cost banks $0.035 per transaction or $0.025 per transaction in bulk. ACH Transfer is given to customers in between $0.10 and $2.50, depending on volume. ACH by definition is meant to be automated, and meant to be delayed settlement, thus the lower cost associated. Wire Transfer – It is similar to ACH Payments but have some few differences. 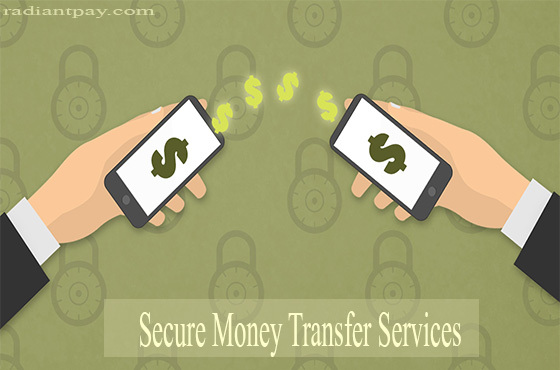 Wire transfer perform task on real time and cannot be done on batches, performed manually. Wire transfer is more expensive than ACH Transfer. When an individual make wire transfer, both account holders are verified with the exact money in the account. Wire transfers are fast and secure; and since they’re handled individually by the banks. Transferring funds, either by ACH or wire, is generally safe when using a financial institution. However, if your computer has become infected with malicious software (malware), cybercriminals can steal usernames and passwords and defeat common methods of user authentication employed by financial institutions. A complete set for smart acceptance of all payment cards with initial specifications. Stands for Europay, MasterCard and Visa. The smart technology and becoming a global resource for credit card and debit card payments. Today the technology is supported by many other companies with an organization called EMNCo. The card is featured with microprocessor chip that secure the account and protect the cardholders data and avoiding the seal of account while making payments. What is use of this technology? Chip card technology made payment transaction fully secure against fraudulent activities. Reduces the fraudulent activities and given value added application for future use. The card is attached with micro computer chip and requires a pin or signature to complete the transaction process. It’s a golden color chip you have on your cards. That is microprocessor chip a whole ‘new revolution of card processing. A new and advance global initiative to combat fraudulent activities. Secure the cardholders data to expose to third party. Traditional Cards have magnetic stripes that contain unchanging data. Whenever anyone access the data gets the card information. That is the big Mistake making traditional cards prime suspect of fraudulent and stolen activities. “If someone copies a mag stripe, they can easily replicate that data over and over again because it doesn’t change,” says Dave Witts, president of U.S. payment systems for Creditcall, a payment gateway provider and EMV software developer. Over traditional magnetic stripe, EMV generate a unique transaction code that cannot be used once it’s been used. The card technology made tougher for hacker to steal the card information. When we heard of banking offshore many of us sounds that it is irrelevant and voidable of using such bank account. But the real situation is different only people with merchant banking and international businesses man known the real picture of banking offshore. What people think about banking offshore is not all true here are some myths about offshore Banking that will change your personal and professional overview. Offshore Bank Account are Illegal? – No banking offshore is fully legal, but in some countries, you need to show the feasible offshore assets report to your home authorities. For eg, if you are Citizen of U.S and have a bank account in Canada you must declare that account. The place and country matter in holding an offshore account. The tax issue occurs because most countries taxed interest income in the country of residence, while this income is taxable in an offshore jurisdiction. Regulation and Banking Restriction is Poor – since it not implies too many restrictions on Account Holders, given full freedom of confidentiality. Some small jurisdiction is subject to particular laws and regulation on behalf of FATF and other authorities. This may take your business in great loss. Offshore Bank Account is Fully Anonyms – whenever you open an offshore bank account your Name and bank account detail are not anonymous to the bank. Only your bank knows each and every detail. The fund is not safe in Offshore bank which has global visibility – It can explore your information and account detail to the parent bank in your home country. But a subsidiary offshore bank is a separate legal entity subject to the different law and jurisdiction. Keeping full confidentially of depositors and clients and not passing any information to the parent banks. In some countries, it is punishable to disclose the information by prison terms. Fully Tax-Free – Not Fully tax-free, but give some tax benefits to the merchants. In most cases, it’s free of local taxation of the bank’s jurisdiction. Physical Appearance is Compulsory for Opening Such Account – No Clients doest not have to appear physical in order to open an account. These banks have developed a procedure for opening remote and mobile bank account. Clients need to provide certain extra documents t provide proof of identity. Needs Heavy Deposits – Not all banks require a heavy deposit, mainly it requires deposits starting with US$100,000 or equivalent. But a significant number of smaller banks are still interested in a regular middle-class customer and their initial deposit requirements may start with US$1,000 or less. How can I Lower My High Risk Processing Cost? Any Business Venture has a little amount of risk associated with it, but there are certain business that considered as high risk such as online gambling, travel agency, Pharmaceuticals, Telemarketing Services, Real Estate, Software Downloads, International Shipping, Fantasy Sports Websites, Online pharmacies, Dating websites, ISP and Hosting Services and High-volume E-commerce Businesses these type of businesses need special account called high risk merchant account. Now what is high risk credit card processing and how can I lower my cost on such processing? Avoid transaction limits – Companies offer your account with transaction limits that are presets, once your business get start and you are doing transaction in high volume they will charge a penalty fees to exceed the limits of transaction. These may take your profit margin down, its suggested always look for an account that gives unlimited transaction volumes. Select the most appropriate that gives you freedom to explore globally. Read company overview – Select most reliable and trusted processor to partner with your business. Though you are high risk merchant, they are charging high rates. Select the processor that corporate with your terms and conditions. Research every minute detail about that payment processing company you are signing up. Get the services that you need – Choose the processor that fulfills your business needs and give best services to run your business with fair practices. You should also receive the right terminals and solutions for your business at affordable pricing. Security is prior – Secure payment gateway and virtual terminal are integral part of any business entity. When processing online your processor comes with high tech security with data encryption system to protect the interest of the customers. Select payment processor that offer various card processing with real time reporting because customers pay with many different cards as they like. Customer’s interest protection should be the prior task of your company. In the age of new and advance technology plastic money is more popular than paper money. Plastic money refer to (credit, debit and payment cards) payment cards are being used internationally for buying goods and services. These payment cards are been accepted by every businesses or website you visit. Merchants those who do not accept card payment losing huge sales revenue from customers. For accepting these cards you need a merchant account services with payment gateway to serve secure and flexible payment processing. There is numerous options where you find a perfect merchant account provider for your businesses an internet search with “merchant account” or “credit card processor” will show you tons of company who expertise in providing merchant solutions. Merchants can apply for an account through leading processor like RadiantPay, who help to choose the right payment processor for their credit card processing needs. 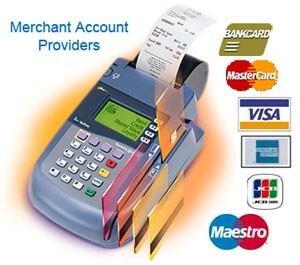 There are some merchant accounts which you can choose for your different business requirements. Retail Merchant Account – The most common form of merchants account for retail store, still the most popular place to buy goods face to face. 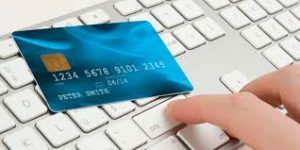 E-commerce Merchant Accounts – the merchants account provide secure payment gateway services that support the ecommerce shopping carts and virtual payment terminals. Mobile Processing Merchant Accounts – this merchant account empowers the merchants to do business from anywhere, anytime. This is an ideal solution for professionals and service providers like plumbers, appliance repairmen, electricians, landscapers, food vendors and delivery services. Our merchant account expert solve all your quires and question and provide guidance on choosing the best merchant accounts for different business needs. Select your merchant account from Radiant Payment Processing Solutions by applying online form or call us at – +44 2081330322. High Risk Merchant Account for Secure Online Transaction!! Online shopping the most convenient way to buy things and services. If you have an online business that possesses relatively high risk than High Risk Merchant Account in the UK is the best way to turn your business at next level and add quick fortune in online business. High risk Account refer to a merchant account which the bank sees as a risky investment. Somehow every business possesses a risk factor associated with it. For Sound businesses one need to have secure and safe Payment processing services for valued customers so they can easily buy and purchase things and services from your company without wasting time and efforts. For accessing online payments and secure transaction you need to have highly protected and effective merchant account. It can easily be done with Radiantpay.com it’s specialize payment processing services to high risk businesses. We avail guaranteed services to our valued customers. We have expertized and professional team having years of experience in Payment processing fields to moderate you throughout the process. And gives you 365 days technical support. 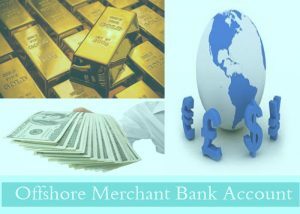 While having years of experience in opening these account for different industries we also have wide range of assessment that include opening and registering offshore merchant account, credit card processing services, shopping cart integration, International Merchant Account, Payment gateway Integration, Fraud Prevention, ACH Processing Services, Low rate Merchant Account and more. There are thousands of companies offering high risk merchant account for risk businesses, select the most appropriate and trustworthy company to work with, that can avail guaranteed services and 24*7 technical support customer’s. The payment made by credit card involve the transfer of funds to a merchant account and you (the merchant) directly holds the payment in their bank. If you want to accept the payments through credit cards for your online store, you will need either a merchant account of your own or the services of a third party processor like PayPal. 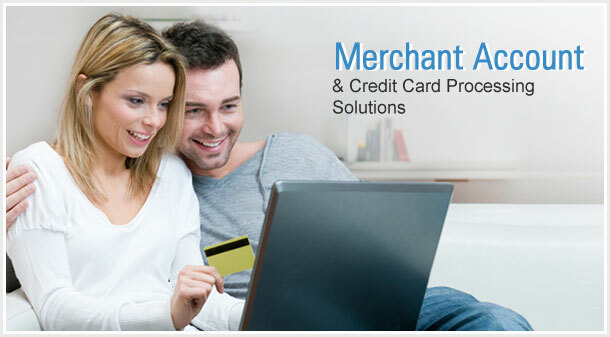 Some quite different types of options are available while choosing online merchant account. Some of the organization or companies charge reliable fees for merchant account solutions while other charge enormous fees for setting up and processing fee. Check out all the terms and condition while selecting the merchant account that is right for your business and suits your all unique business needs. 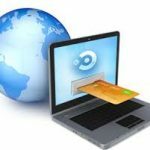 Our radiantpay.com provides an ideal solutions to Integrated a merchant account into your website. It also allow to accept credit card payments directly through your website and deposit payments directly into your personal or business checking account automatically and some time on same business day. We have relaxed transaction fees and monthly account maintenance fees. It’s easy to sign up, and once you are approved it’s easy to integrate your payment gateway page and only takes a few minutes to get started.